To put it simply, Iowa’s defense was not good when No. 3 Purdue came to town on Jan. 20. 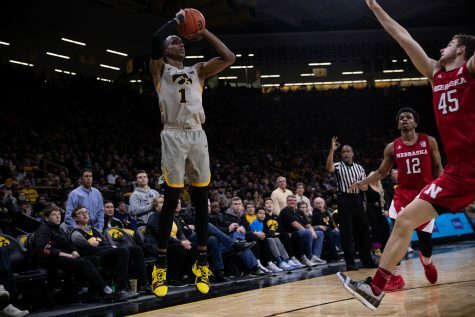 The Boilermakers knocked down a Big Ten record 20 3-pointers en route to an 87-64 throttling of the Hawkeyes on the road. Purdue punched Iowa in the mouth early, going on an 18-0 run that put the Hawkeyes away in the first half. That’s just from one game, but that trend has happened all season. 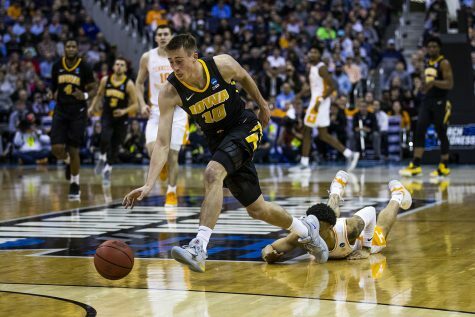 Iowa has had trouble stopping runs when teams get into a rhythm, and a lot of it is because of its less-than-stellar defense. 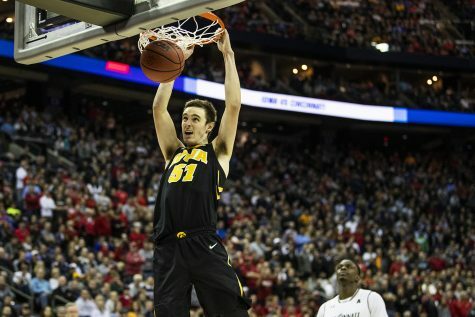 The Hawkeyes have the worst scoring defense in the Big Ten right now, allowing 76.9 points a game, 4.5 points more than the next worst team. That’s “good” for 289th in the country. Opponents are also hitting shots at nearly 45 percent, which is the second-worst mark in the conference. They also hit better than 36 percent of 3-pointers, which ranks Iowa 11th in opponents’ 3-point percentage. 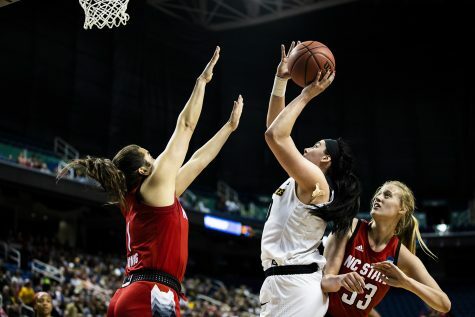 Unfortunately for Iowa, the Boilermakers are the best 3-point shooting team and the second-best scoring offense in the conference, so they took advantage. 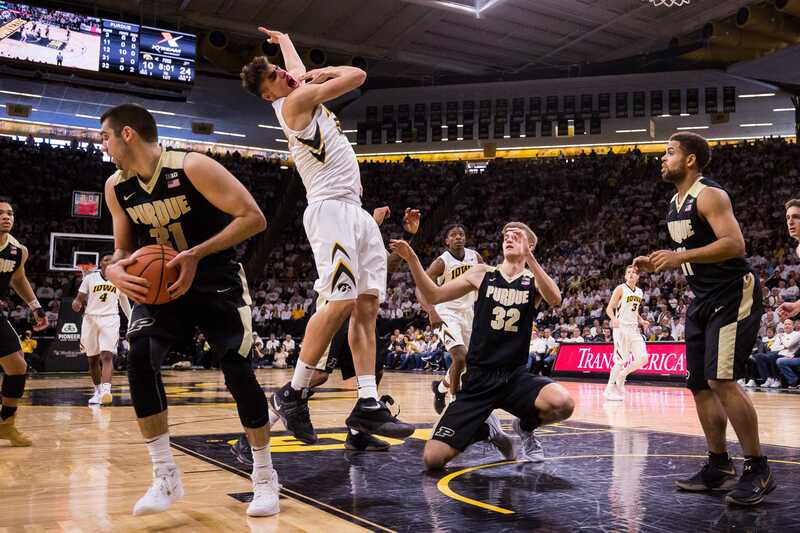 The Hawkeyes’ inability to slow down teams that get on a roll has killed them this season, and that’s exactly what happened against Purdue; the Boilermakers kept finding the open man and making plays to win. 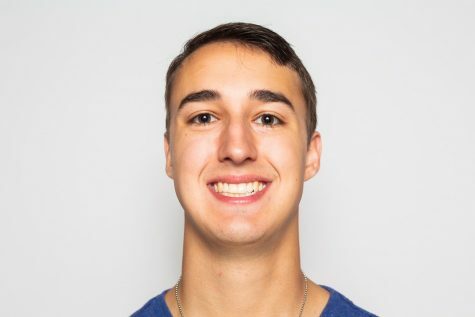 “As long as the ball doesn’t stick, and we keep moving the basketball, good things will happen,” Purdue head coach Matt Painter said. Iowa certainly has weaknesses, and Purdue exposed them. The Boilermakers have been one of the best teams in the country and won 15 in a row since beating then-No. 2 Arizona by 25 on Nov. 24, 2017. They have been playing dominant basketball recently, destroying their past three opponents by 23, 28, and 34. 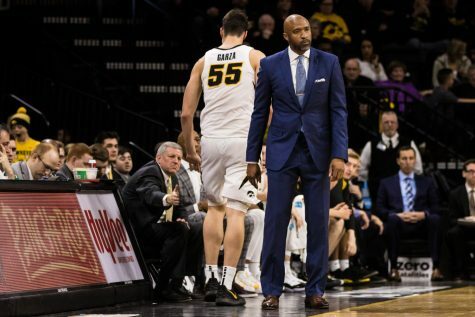 An explosive offense with the likes of Carsen Edwards, Vincent Edwards, and Isaac Haas was a clear mismatch for the poor Iowa defense. 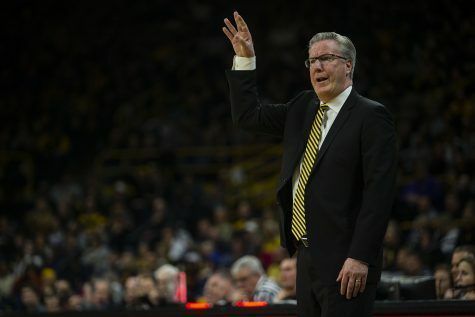 Iowa coach Fran McCaffery said the Hawkeyes focused a bit on limiting the inside game of [Isaac] Haas, and that worked. He finished with just 3 points and 3 boards. But the focus on the inside left Purdue’s shooters open from deep and made the Hawkeyes pay by scoring 60 points from behind the arc. 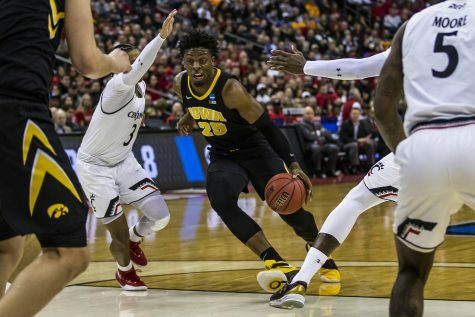 Things will get a little easier for the Hawkeyes as the season chugs along, but that’s only because they don’t have to take on the Boilermakers again. 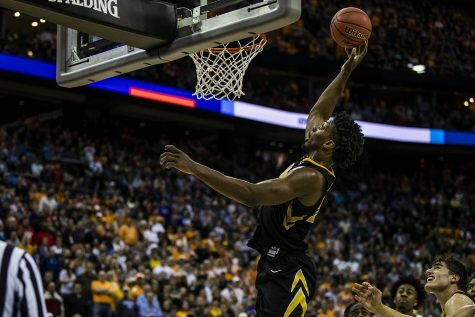 There are three more games against currently ranked teams on Iowa’s docket, when it battles No. 9 Michigan State and goes on the road to play No. 22 Ohio State and No. 23 Michigan in consecutive games in February. 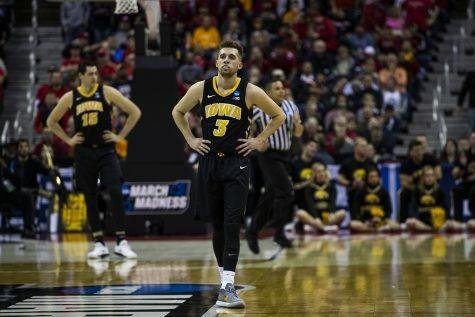 But first, the Hawkeyes have to worry about Wisconsin on Tuesday.